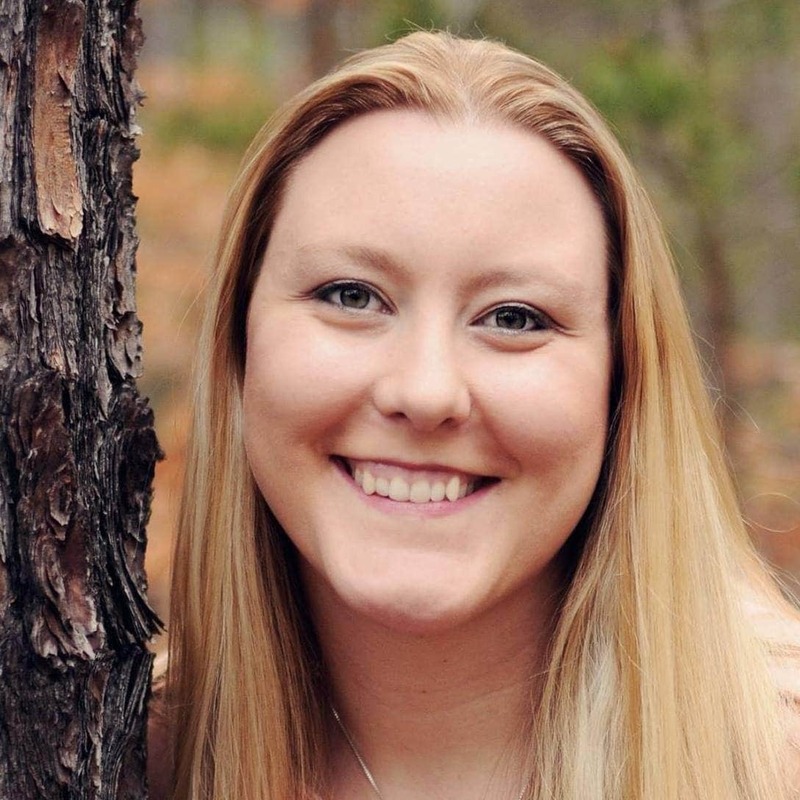 Is your house being overrun with kid stuff? I know that my kids don’t need anything and come Christmas time, I’m ready to start throwing everything away. The past two years, I have asked family to get experience gifts instead of toys and junk they don’t need. It has been really great because we have been able to do things as a family and some of the gifts we can use all year. I have also started doing family gifts to give as well. In today’s world, kids spend enough time on computers and devices and it’s nice to get to connect as a family. I have found that family gifts are appreciated more and are liked more so over toys. 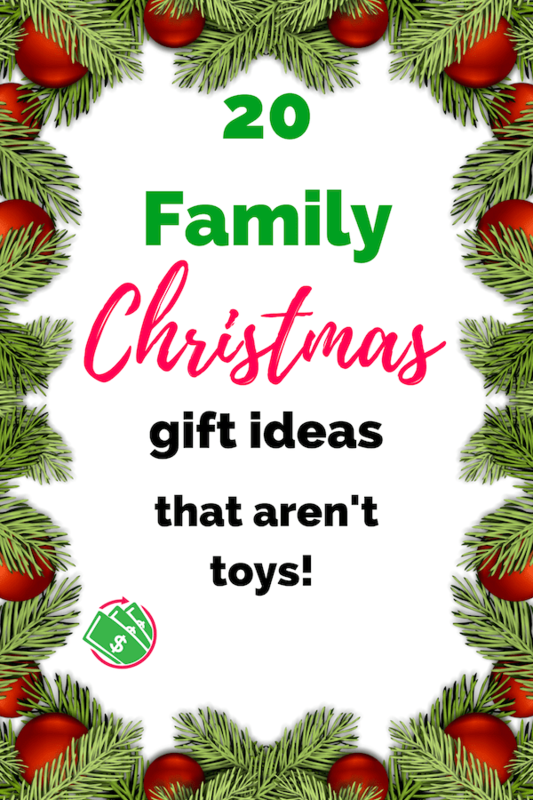 We love getting experience gifts because it saves me money as I don’t have to buy it myself and the kids enjoy it a lot. Some of them are even memberships that we get to use all year. Zoo memberships– you can get a discount or coupon codes and most zoos have a reciprocity agreement with other zoos and aquariums. Kids Learning Centers– there are many kids activity and learning centers that you can join. They play at different stations while they learn about a variety of subjects. Trampoline parks– this one has become very popular in the past couple of years. Kids love jumping on trampolines and jumping into foam pits! Even the adults get to do this activity and get some exercise. Craft nights– craft nights have become very popular as well with many places have dedicated kid time slots. You can go make a craft or art project without having to clean up the mess. Pottery making– same idea as a craft day but you can make pots, plates, figurines, and other 3D objects. Putt Putt– this is a great family activity if you have a little bit older kids. Go Cart Racing- this would be great for families with older kids that may get bored with some of the other ideas. Laser Tag- this is a fun game for kids over 4. My kids love it but it gives me a migraine so beware of that. Giving an experience may not be in the budget depending on the place and family size. I have found that a lot of memberships do not cost more per kid but some of the other ideas may be too expensive if you have a lot of kids. 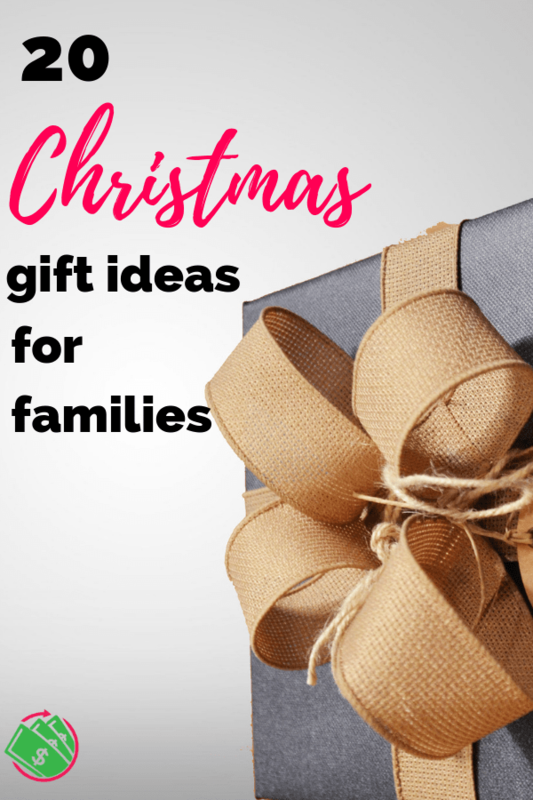 There are still a lot of family gifts you can give that are cheaper. 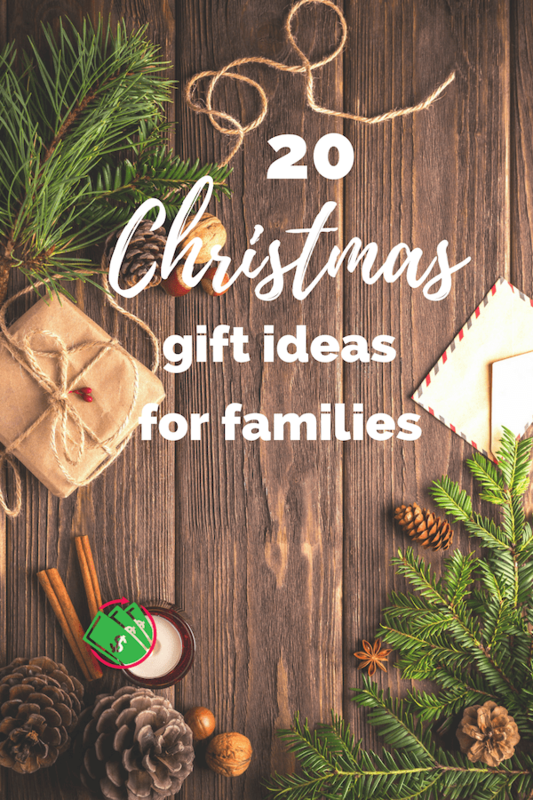 Some family gift ideas includes games, crafts, activities, even some video games. Family pictures– take a family photo and print it on a canvas or frame it and give it as a gift. It can be done inexpensively and will be cherished forever. Your kids will remember the things you did together more than the things you bought. Christmas can be so overwhelming with all the gifts and they barely play with them all. Some families are going to a 4 gift Christmas. They get something they want, need, something to read, and something to wear. That way they get to open something but it’s fun and practical. Some things you can give in addition to this without adding to all the toys are activities. They can even be free or cheap. It doesn’t have to be anything major to buy. Movie and pajama day– my kids love doing this. We have even got out the air mattress and put it in the living room to watch the movies. Build a fort– this is so much fun to kids and doesn’t cost anything. Let me make signs for it, eat inside it, and just have a day of laughter! Go for a drive– I used to love going to drives as a kid, really I still do. Take some time to drive around and look and see the beauty around you as a family. Don’t take any devices or watch any movies. Just truly take in the beauty of nature. You don’t have to go far, just go. Another idea that a friend of mine did as a gift to her husband was planning out an activity for every month for the next year. She put them in envelopes and sealed them and just put each month on the outside. So each month for an entire year, there was an activity planned for just them. This could easily be done for the whole family. Make it fun and exciting and plan an entire year of one activity a month to do together. It was a surprise every month. So on Christmas Day, they got all the sealed envelopes and they weren’t opened until that specific month. As with any gift, the more thoughtful it is, the better. It doesn’t have to be an expensive gift. They just want to feel like you took the time to think about them. A family gift or experience that they all love will be cherished and remembered for years to come. Something they can do more than once is a bonus! Think about what your family or the receiving family would like to do and see how you can help make that happen. 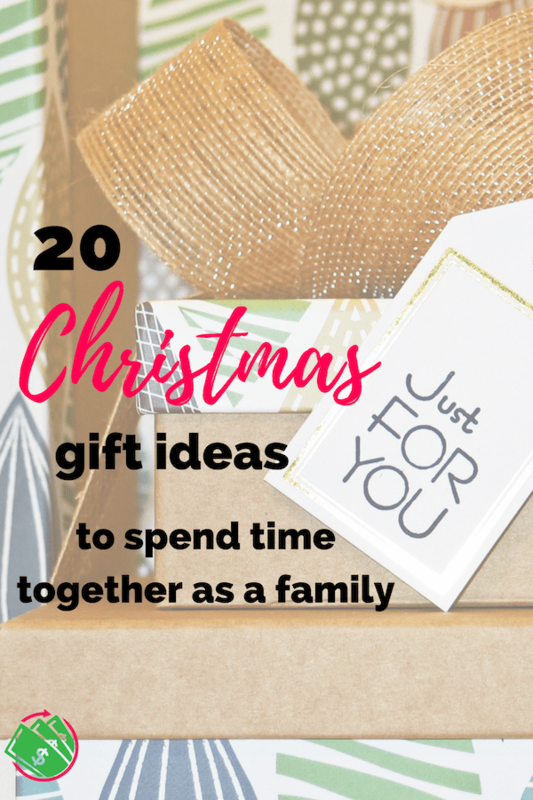 Some of these ideas may be out of your price range even though it’s a family gift. Talk to other relatives and see if they want to chip in also. They may think it’s a great idea too and decide to give it together. The joy of giving is a gift in and of itself. It doesn’t have to fancy and expensive to be loved and cherished.